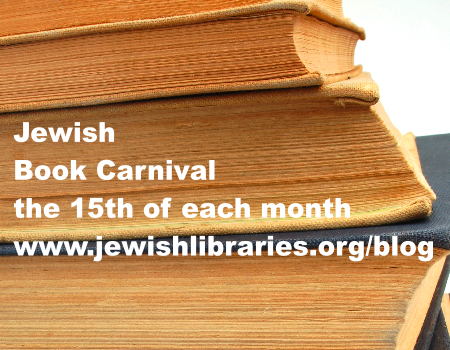 The Whole Megillah is proud to once again host the monthly Jewish Book Carnival! Let’s start off with exciting news from the Jewish Book Council — it has recently launched a new website and now offers readers the opportunity to sign up for a weekly email, featuring an image of each book it reviewed online that week with a link to the review. This entry was posted in Book Reviews, Uncategorized and tagged Ann Koffsky, Anne Dublin, Book of Life, Erika Dreifus, Heidi Estrin, J Street, Jewish Book Carnival, Jewish Book Council, Jewish Journal, Jill Broderick, Jonathan Kirsch, Linda Wertheimer, My Machberet, Prosen People, Rhapsody in Books, The Whole Megillah. Bookmark the permalink. Thanks for hosting the Jewish Book Carnival, Barbara! This is a great roundup!